I think the hardest part after fracturing my olecranon SEVEN months and THREE weeks ago, was not the injury itself, which was annoying, but the residual weakness. This weakness has not merely affected my arm, but also my chest and back. One month after having had my metalwork removed, it’s finally safe to start rebuilding the muscles in my right arm and shoulder. This was MUCH harder than I expected! What did I do to regaining my arm strength after my olecranon fracture? Firstly, the critical thing to realise is that, due to the significant lack of use as the olecranon fracture healed, the power/strength in your tricep muscle, heck the whole arm, will have been utterly decimated. That is NOT an exaggeration. It was only in the last week or so before I went in for the second operation that I was finally beginning able to put on a seated, when in the passenger seat without difficulty, or pain. I remain shocked that of my day-to-day activities, the passenger seat belt has remained the most difficult. Possibility as I can’t compensate really. Lying down remains an annoyance, but I have compensated with my LEFT arm/just drop onto the bed. But there hasn’t been anything other than to pull the Seat belt carefully and slowly. Just let me reiterate. The power in my RIGHT arm has been decimated. Doing arm extension reps with the gym machines – which are suitable for initial rehab, as they isolate the desired muscle of the user – I can pull against 20kg of weight with my LEFT arm without straining too much. To my RIGHT, 2kg is passable, 4kg is an unacceptable strain on my elbow. I’m reasonably confident that at six months post fracture, you would be looking at a force of approximately 80Nm going through the fracture to displace it. Naturally, healthy bone can support more significant forces, but there is no weak point in an undamaged/ entirely remodelled bone in order to allow the force to propagate out of, and create a new fracture. 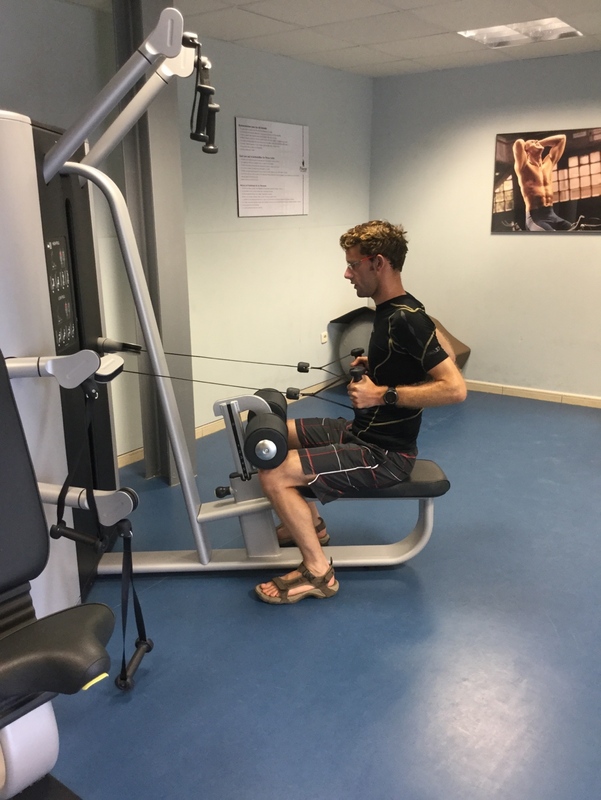 80Nm is going to translate to 80kg of weight, applied to the fracture, which is a sizeable amount of weight, but using levers, such as on a gym machine, that would be quite easily generated, but with a lesser actual weight in the machine. I can’t put this strongly enough; you should start at the lowest weight possible, and then work up, when starting to rebuild your strength. I remain surprised how… Much strain… I felt trying with 4kg weight after trying to extend the 2kg weight. 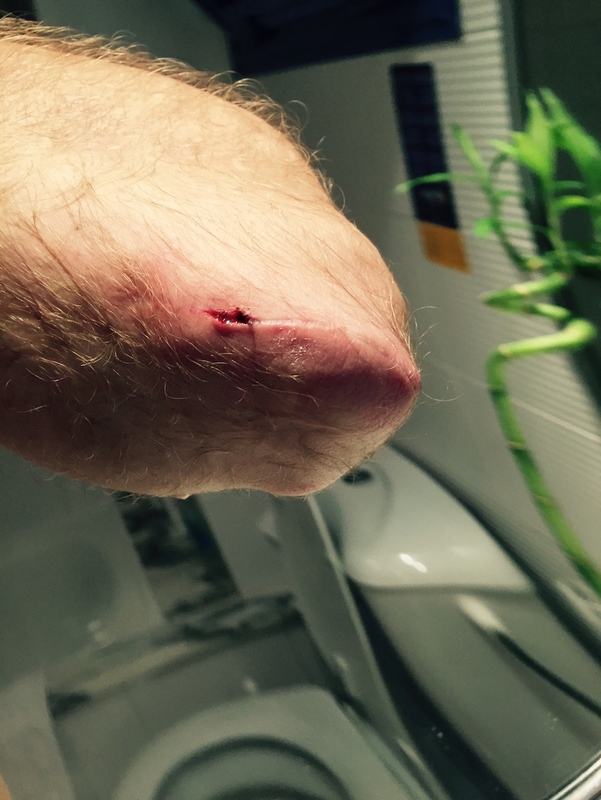 It certainly wasn’t a pain, but it too much for my arm generally to take. In spite of being surprised how much strength I’d lost. I have also been very impressed with how quickly things are beginning to return. 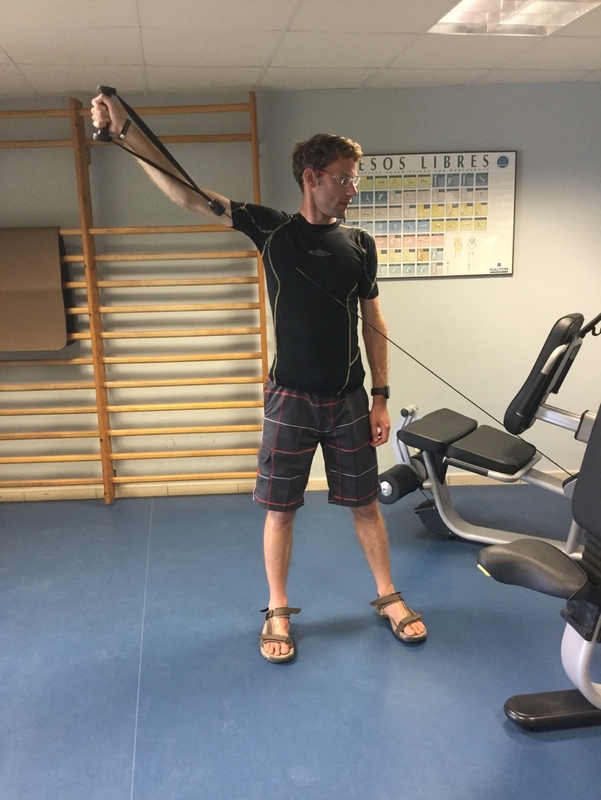 Adduction and abduction exercises are very important to keep the shoulder muscles in good condition. But even with effective physiotherapy, it’s likely, as I’ve found, that your shoulder muscles will have weakened slightly. Maintaining deltoid and rotator cuff muscles are crucial to preventing developing other issues, such as shoulder impingement and rotator cuff dysfunction. 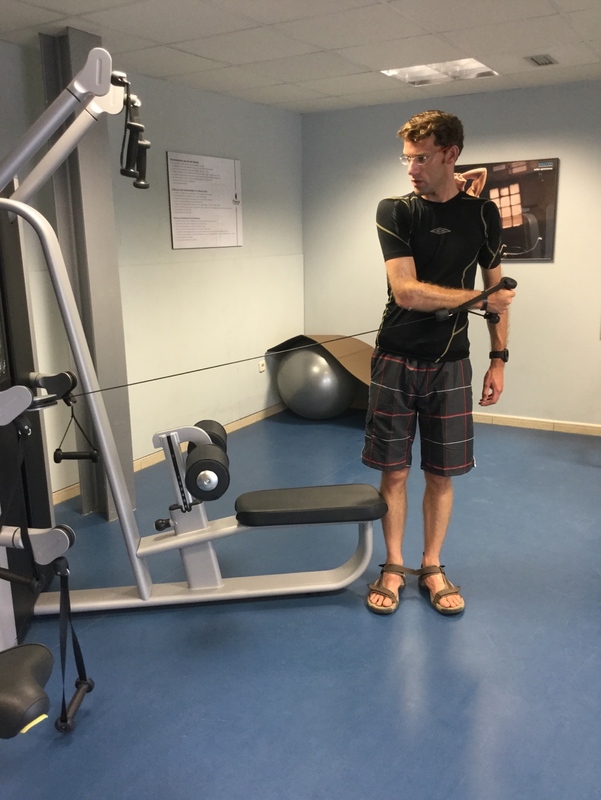 I have been able to feel my LEFT shoulder movements when using the weights, are not as smooth as my RIGHT shoulder, so large movements, involving many muscles groups, as with the above abduction exercises will hopeful be effective in addressing this – only time will tell! The muscles of to my back, particularly trapezius and lat. Dorsi, which help you do things like rowing and pull-ups have also weakened. Seated rows have been effective at rebuilding those muscles. 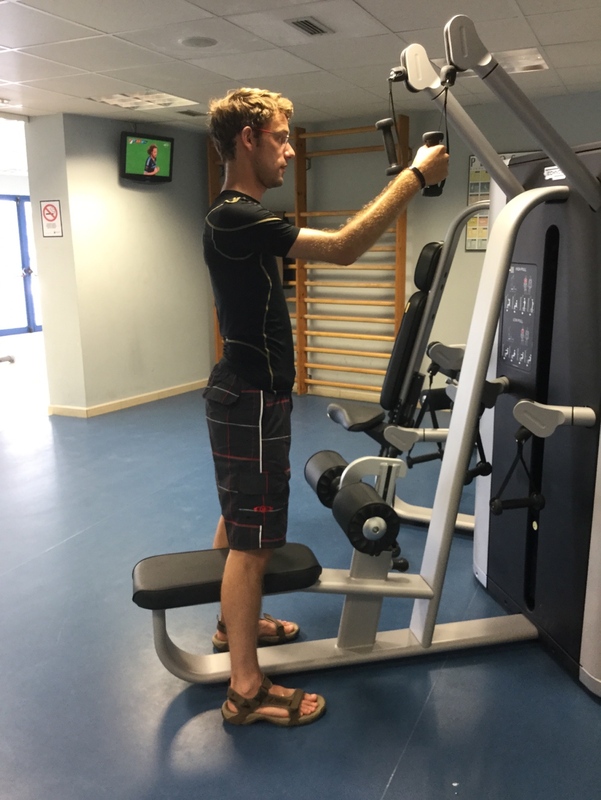 But to prevent an imbalance occurring I use my affected LEFT arm individually, at 2kg and then increase to 4kh the weight, and use both arms. Exercises like this are not about straining and moving iron, just about slowly and carefully rebuilding strength. I know in time, it WILL come, but the loss of arm strength and inability to slam the seated row backwards with a large weight is quite… difficult at times, given I used to row competitively at Uni! I think I was partially ashamed. BUT by keeping at it, keeping up the small weight reps, I’ve begun to see an improvement. But imperative to still be careful – esp if like me the stitches are dissolvable, as they will take 8-12 weeks to be completely resorbed, and can be a potential source of weakness to the wound if you happen to trip… Yup, I’m a clutz, I fell over and opened up with wound slightly, which was a little surprising, as I thought was rather well healed at this point! I’ll be honest, I was terrified I’d done something to the fracture, it was a good blow, falling onto the soft ground, but still went with a thump. The opening was RIGHT AT THE FRACTURE SITE #terror! But a couple of steri-strips to close the wound and everything seems ok. 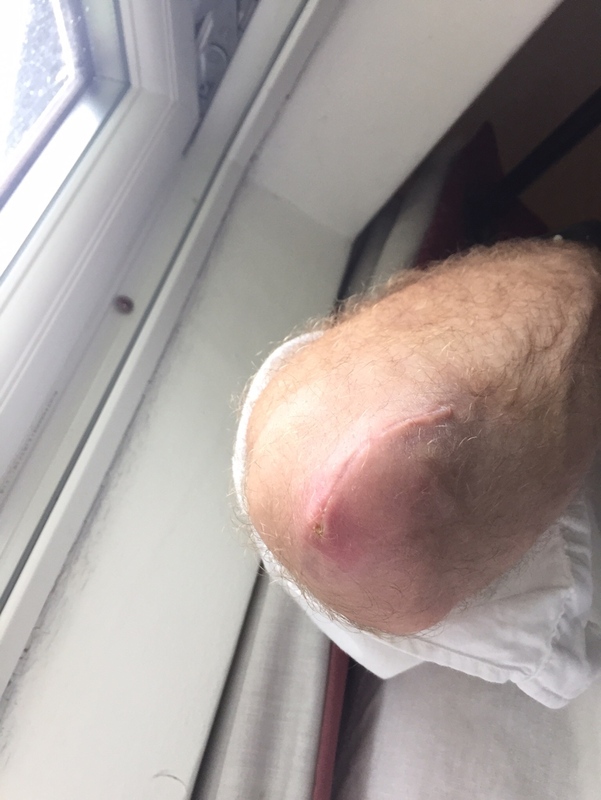 Still, have a full range of movement, and no pain when going to back to the gym, but still, had an hour or so of real worry – and now a bruise on my scar!